It’s not like I’m rooting for him to become a great quarterback! 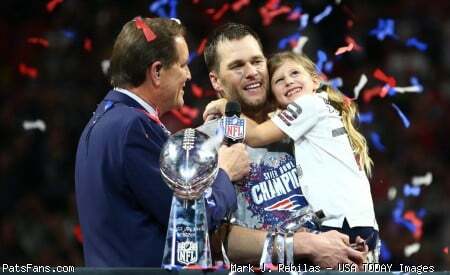 Brady is probably going to retire in 3 to 4 years, hopefully with 3 to 4 more Superbowls under his belt. The chance the Pat's draft someone that's even close to his league is up in the air. I'm just looking at what the potential is for great QB play once hes gone. Mahomes/Goff were 2018's Stafford (2011), RG3 (2012), Luck (2014), Newton (2015), Dalton (2015), Wilson (2015), Cousins (2015), Ryan (2016), Prescott (2016), Wentz (2017), etc. Lots of decent rookie QBs on cheap deals have one awesome year in them as they have good supporting cast (from the available money). Let's reproduce when the cast shifts, the OL rotates, the WR/TE corps rotates, the RB corps moves around, and most of all, when you load the team with your $25m salary. Let's see if you can still perform with a diminished supporting cast (it's just math). I'm rooting for good games against quality opponents. Like the Brady - Manning years. Still marvel at the fact Brady is still around. The fact he has THREE rings 2014+ is truly insane. Greatest. Poor MOSSLOST got crucified for his post, while Chiefs Planet had a “What’s the weirdest thing you own and like” post. I knew that was going to be entertaining. One Nut had a portrait of the Virgin Mary flipping the bird. I think Mahomes is doomed to fail next year because they won't be able to replace Tyreek Hill, and that offense is not going to succeed without stars at the skill positions. I mean, he's going to have his numbers, but he'll suddenly be at the bottom half of the top 10, which is a big fall from MVP. Unfortunately, the comparison to Aaron Rodgers is too apt. I think they'll always try to rely on his talents to succeed instead of ever building a team that he can just be a part of. Plenty of QBs were good their first year like Wentz and Watson. Their fans were dreaming multiple super bowls only to see their QB fall flat on their faces in year 2. Cmon. None of them were /remotely/ in the ballpark of 50 TDs. Wentz threw 16 his first year as a starter, Watson 26. The two of them combined aren't all that close to Mahomes. Can you list the 'lots' of rookie QBs that throw 50 TDs their first season? Rodgers' problems are of his own making no one elses. Whether Mahomes follows that path remains to be seen. There's a lot of goofy wishful thinking going on in this thread. What do you get when a woman beater (Hunt), a child beater and a crazy laser wielding fan enter a bar? The KC Chiefs are here! Marino (almost). And 5k yards. BTW in the QBs I listed above Newton and Ryan were also League MVPs. Oh man, are you really living in some wonderland where you think our own roster isn't stacked with unrepentant coos hounds who wouldn't try to bang someone in the back room at their mother-in-law's funeral? Probably be worried if it wasn't. Haha. I’m new and don’t know much about MOSSLOST. I seen he was getting hammered was wondering what what’s up. @mosslost is very capable of offering insightful analysis on the team and football. Most of the time he authors OPs and takes on obscure topics that require an advanced level of humor few on this board possess.